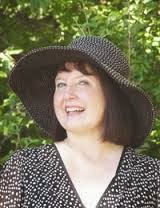 Today, I’m very excited to bring you an interview with author Anne Clinard Barnhill. For the past twenty years, Anne has written books, short stories and articles. 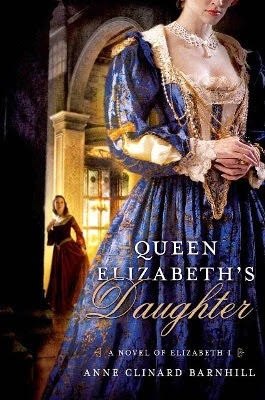 Her latest work is Queen Elizabeth’s Daughter, a novel of Queen Elizabeth I and her ward Mary Shelton. Queen Elizabeth’s Daughter shows a different facet of Queen Elizabeth’s personality, a softer and maternal side that we don’t get to see that often. It also brings to life a not well-know figure of the Elizabethan court, Mary Shelton. Not only she was a real person, but she’s also one of Barnhill’s ancestors. In this interview, Anne talks about her book, her new projects and more. Enjoy! 1. What inspired you to write Queen Elizabeth’s daughter? Years ago, I became fascinated with Tudor history, partly because I read The Concubine, by Norah Lofts as a teen and partly because my grandmother told me we were related to Anne Boleyn. We are descended from the Shelton family and, as I did research, I learned that a couple of my ancestors left a nugget of a story behind—I wanted to investigate their stories and use the basics to create a novel. I also wanted to explore the idea of loving a child not your own and how the bonds of love can create tension between parents/children and what might be the result of such tension if there is a big imbalance of power—such as Queen Elizabeth and Mary. 2. Elisabeth and Mary have a mother/daughter relationship in your book. Does that reflect the relationship they had in real life? I think it’s possible they had that sort of relationship—Mary was orphaned and Elizabeth would have been her guardian, as the queen was guardian for every orphan of rank. We know Mary was at court as a teenager because there are records. The age difference would have been about 20 years, to that’s about right for the mother/daughter thing to have developed. We also know that, in her later years, Elizabeth depended very much on Mary for help and friendship. However, I don’t imagine Mary spent her childhood at court, as she did in my book—although it’s possible. William Cecil had several wards, enough to run a little school—so there were children around. I do think Elizabeth had motherly longings but felt she had to give those dreams up in order to rule effectively. She was fond of her ladies and certainly corrected them for improper behavior. We’ll never know whether she had a tender spot for Mary, but I like to think she did—for both their sakes..
3. Your Elizabeth is a very complex woman with many facets. She’s jealous, selfish, and even cruel, but she’s also merciful, motherly, and torn between her love for a man she’ll never be able to marry and her duty to her country and subjects. What sources influenced your portrayal of her? Oh, I’ve read so many nonfiction books about Elizabeth and, of course, I’ve seen all the movies from Bette Davis to Cate Blanchett. I’d say Alison Weir’s books and Anne Somerset’s Elizabeth I were two important influences and sources for the novel. Online, the Anne Boleyn Files, the Elizabeth Files and On the Tudor Trail are great sites for Tudor lovers. 4. Not much is known about Mary Shelton. Did that hinder your writing process or help your creativity? In many ways, it helped. I was able to create the kind of character I wanted—one that would have been brought up by the queen and would have learned how to be imperious if need be—an independent woman. On the other hand, I would have loved discovering more about the ‘real’ Mary—it would be great to run across new information about her. 5. Have you made any fascinating discovery during your research that didn’t make it into the book? Not really. I tend to work in reverse—for example, I wrote the first few chapters, making Mary Shelton an orphan. I continued researching and discovered she was, indeed, orphaned at around age 7 or 8. That has been the strange part for me—I write something and then discover what I’ve written is correct—makes me wonder about reincarnation! 6. I believe your family is connected to the Sheltons. Can you tell us a bit more about that? Yes, and I hope this will be easy to follow: Queen Anne Boleyn’s father, Thomas, had a sister named Anne. This Anne married Sir John Shelton. They had a bunch of children, one of whom was Margaret Shelton—she is the main character in my first book, AT THE MERCY OF THE QUEEN. Her brother, Sir John, married Eleanor Parker. They had a daughter named Mary and she is the main character in QUEEN ELIZABETH’S DAUGHTER. So, Margaret was first cousin to Anne Boleyn and Mary was second cousin to Elizabeth I. Mary’s brother, John, had a son named Ralph, who came to the New World in the mid-1600’s. That’s the way our family got started here in America. However, there are some who believe there is no relation between the American Sheltons and the British Sheltons. They claim there are no records of Ralph’s marriage. But in my view, things were not completely settled at that time—the records could easily have been destroyed or lost. I do think the connecting is valid, based on a Shelton book I have and stories passed by word of mouth. 7. Is the Tudor era your favourite historical period? Yes, that and the Colonial period in American history. 8. If you could invite three people, dead or alive, to dinner, who would you invite? Oh, I’d have to invite, Anne Boleyn, Henry VIII and Elizabeth I—a little family reunion. I imagine there would be a lot of strained silences, don’t you? I’m working on a novel set in the Southern Appalachian Mountains in 1960. There’s an old granny woman who dreams the future, a young girl who has been used as a bet in a poker game, a motor-cycle riding woman searching for her missing cousin and a doctoral student trying to find peace and quiet to compose the music that is to be her dissertation. Oh, and there is a man with over 100 guns, whose idea of fun is to shoot them off at various times of day or night. When these folks converge, I hope it will be pretty compelling. 10. Have you got any tips for any aspiring novelists? Keep on keeping on! Never give up! It’s a long, often tedious process but you can do it! Thanks so much for having me at your site. Thank you for doing the interview Anne! You can buy Anne’s latest book, Queen Elizabeth’s Daughter on Amazon. And don’t forget to check out her website too!